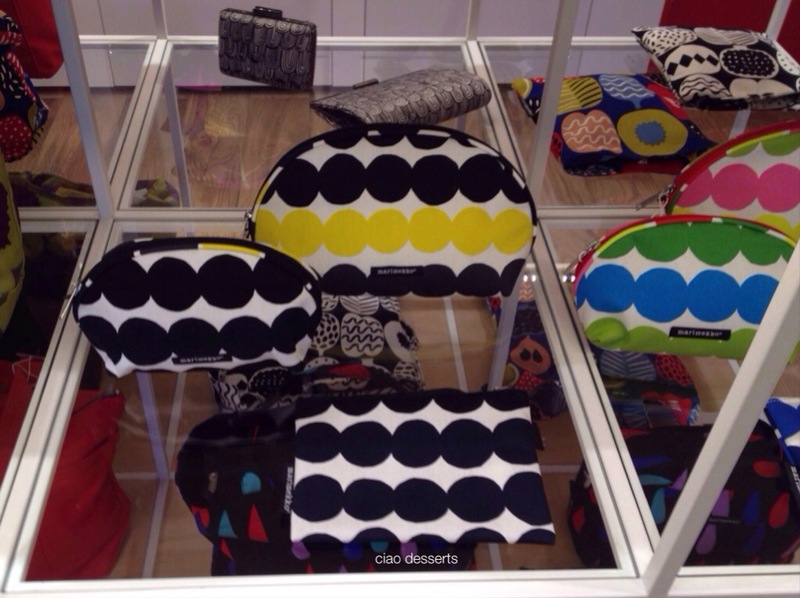 Marimekko has arrived in Taipei! 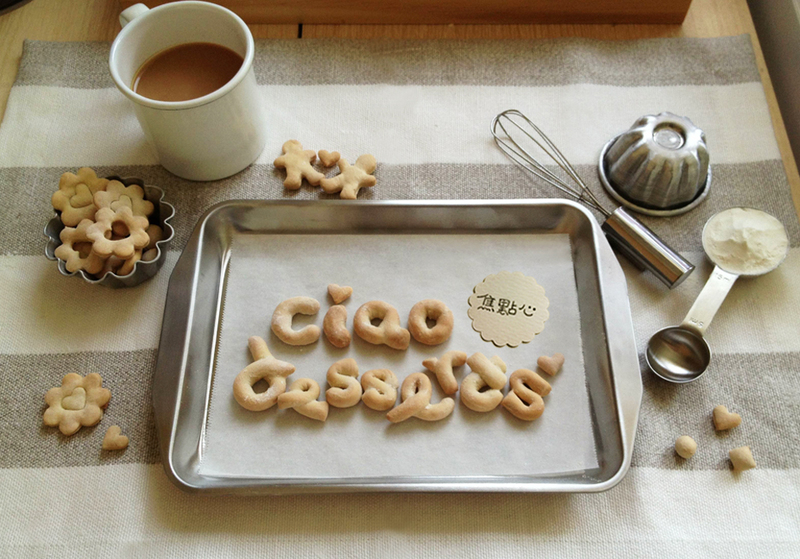 The store is located in Taipei’s East District (東區) and is right at home in this neighborhood filled with independent cafes and clothing stores. The moment you walk into the store, you are greeted with color. 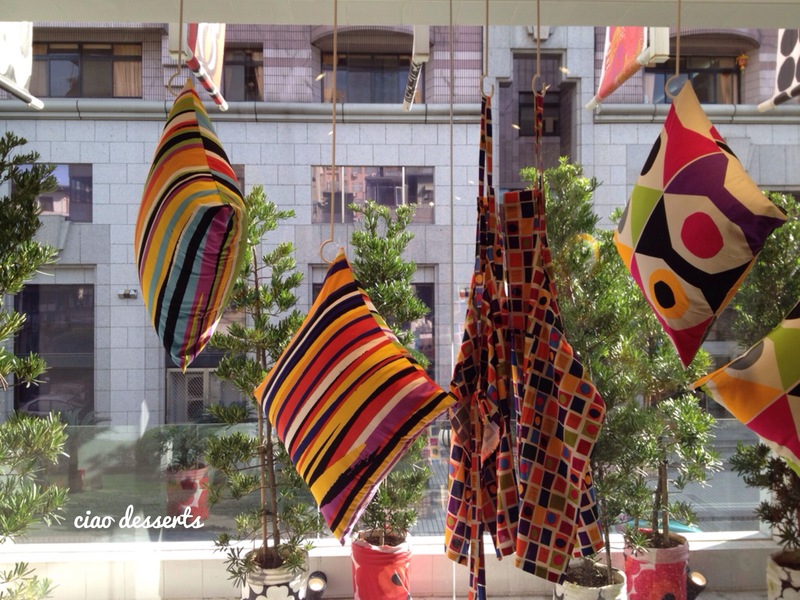 Every corner that you turn you will see different patterns and combinations of color. My aesthetic tends to lean towards neutral, Muji-esque colors, so I was surprised how invigorating it felt for me to be in a room filled with color. I felt like a kid let loose in a candy shop when the shop assistant took down all the bolts of fabric to show me. We had a fun conversation about what the fabrics could be made into~ and he gave me several really helpful suggestions, one including that I take photos of all the fabrics that I liked, and to compare them with the existing items in my home. Now looking back on the photos I took, I’m glad he suggested this to me. The riot of colors which look so reasonable in their natural habitat might be a bit overwhelming in my everyday space, which gets a lot of natural light, but realistically, is approximately the size of teacup. 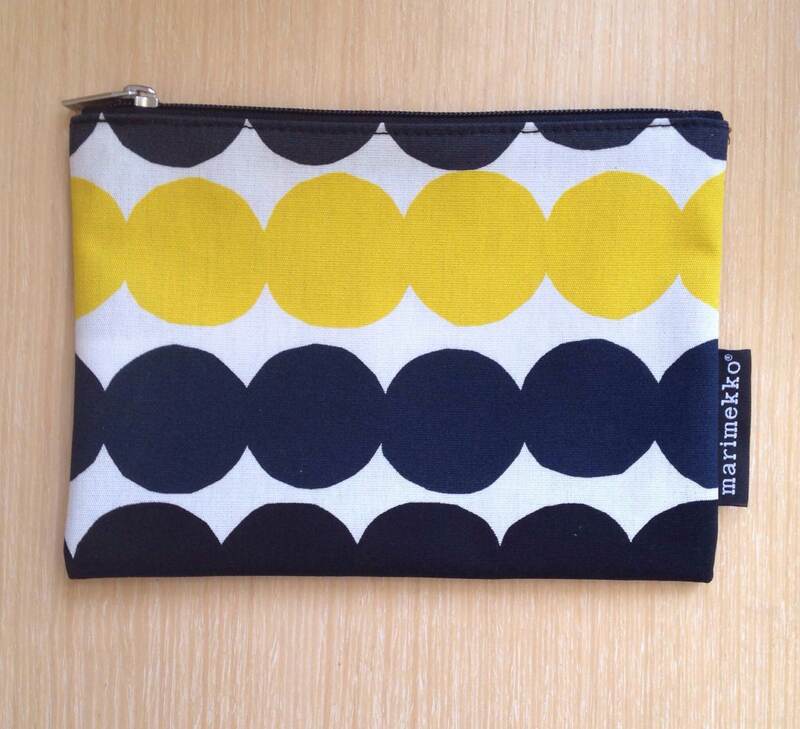 But I didn’t leave the store empty handed~I bought two small items that could be easily incorporated into my everyday life: this cosmetic bag in the Räsymatto print fabric. I also bought this cute Päärynäpear (the Finnish word for “pear”) mug. I remember the first time that I used this mug was on one of those insanely busy days~ my desk looked like an aftermath of a tornado, with teetering stacks of papers, books, and a confusing flurry of multi-color Post-its. 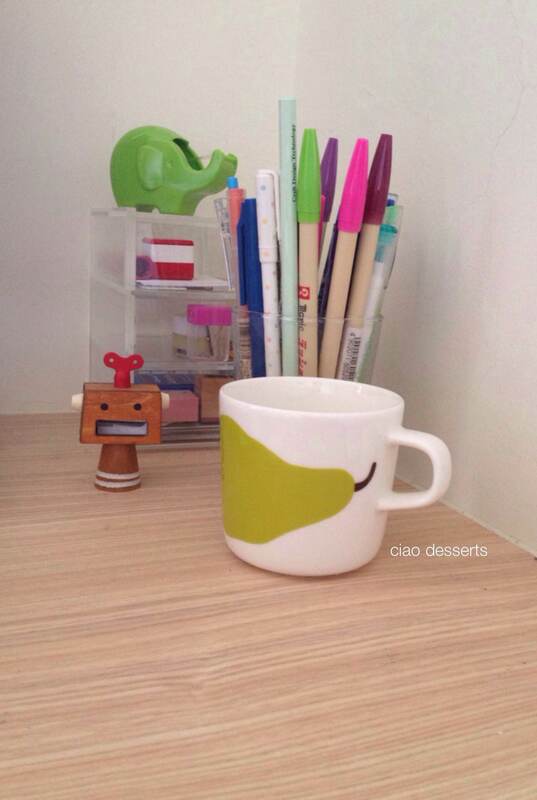 I was about to implode with stress, when I caught the site of this pear mug out of the corner of my eye. The refreshing green color of the the pear, and its fat round shape really provided an instant of good cheer. One quick sip of industrial strength coffee later, and I was ready to face the battle again. 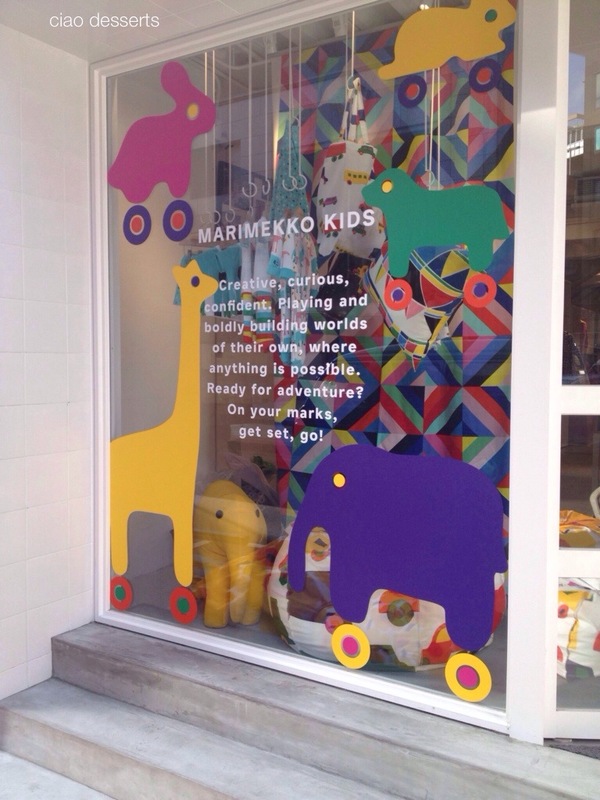 One thought that I took away from the Marimekko experience is the effect that colors can have on your senses. Even though I tend to lean towards solid color neutrals, I find that an occasional or unexpected splash of color, or an ordinary everyday item that is a unique shape, really makes an environment seem more energizing. 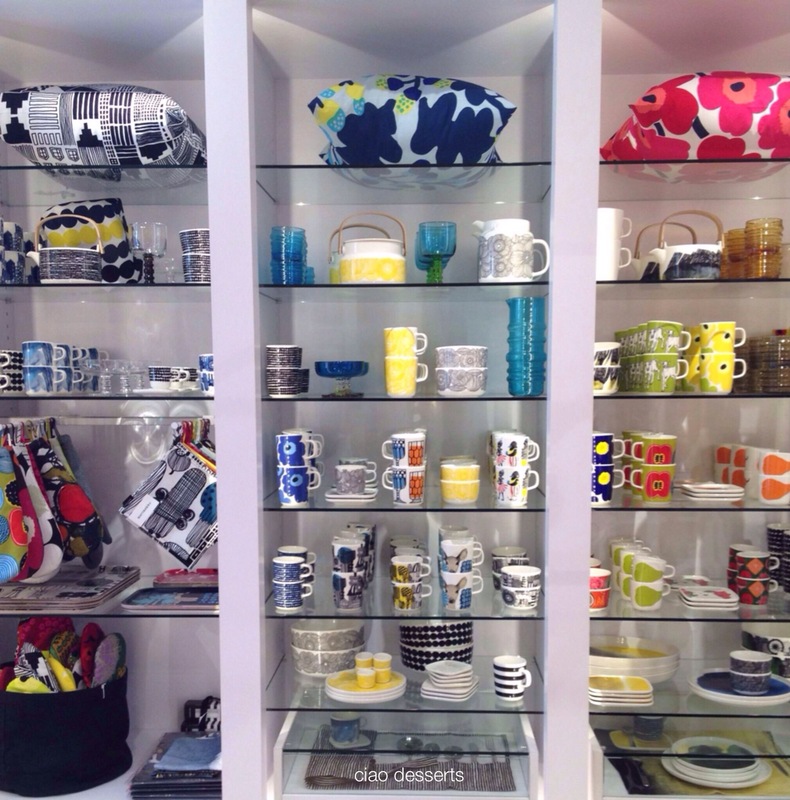 I’m sure this will be one of many trips to Marimekko, so I’ve compiled a wish list of items that I hope to collect for my home in the future. This entry was posted in Uncategorized and tagged home, home decor, interior, interior decorating, interior design, interiors, Marimekko, polyvore. Bookmark the permalink. ← Live Life By the Book：有時間就多看點書!